I’m really loving the Sci-Fi Chronicles book. Yes, I’m overdue to continue the war films in the Great Movies – 100 Years of Film book, but I am loving all the films I am to watch, revisit, and see for the first time in the science fiction universe. 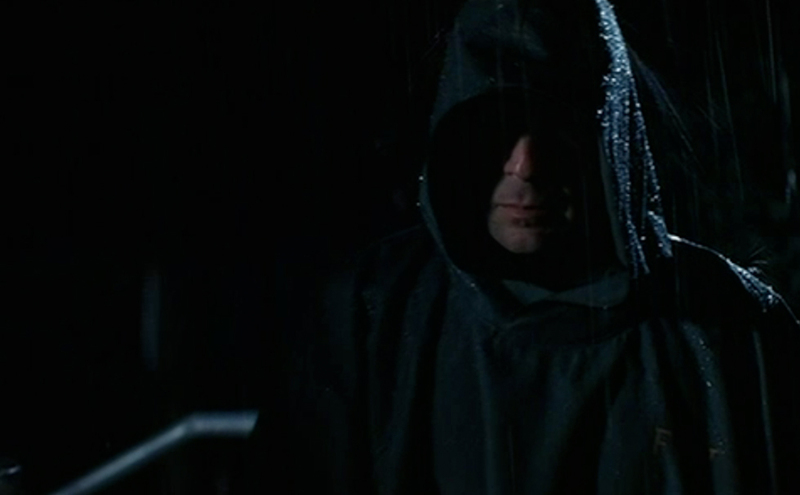 And now, it’s time to spend a few films with Shyamalan. There was a time when he was on top, and it seemed to me, that it was this film that started his descent. Which is too bad, because, even now, I think this one is still a fairly strong film, and a cool little superhero origin story. 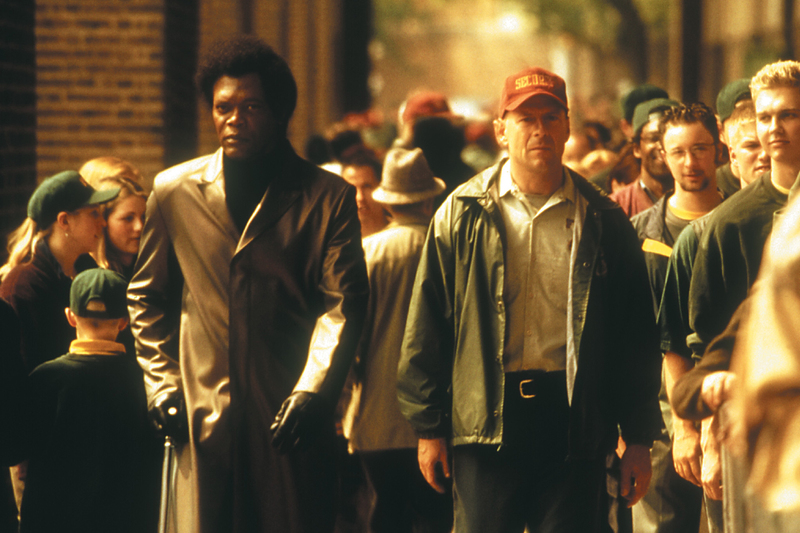 Bruce Willis and Samuel L. Jackson head up the film joined by Robin Wright and Spencer Treat Clark. It takes the idea of comic books as an exaggerated representation of the real world. Or this is what Elijah (Jackson) has learned from his years trapped in a body of brittle bones with only the painted panels of comic books to keep him company. When he finds David Dunn (a nod to the alliterative names of comic book characters like Lois Lane, Peter Parker, Lex Luthor, etc.) the sole survivor who emerges from a train derailment unscathed, he begins to believe that heroes may walk among us, even if David doesn’t believe him. David’s son, Joseph (Clark) is more accepting of the idea, and endangers David’s life on more than one occasion to prove his father truly is extraordinary (something we wanted to believe of all of our fathers growing up, imagining them as More than our friends’ dads). Wright is Audrey, David’s wife. They have a shakey relationship that is caused by a choice, and a secret kept, long ago, that shows how much David was willing to sacrifice to be with someone he loves. The big thing about Shyamalan’s films is that they seem to be one trick ponies, but this one, even when you know everything about it, still works as a dramatic superhero origin story. And admittedly, anyone who really knows anything about comics, especially the classics, know what the reveal before it happens… minor spoiler if you haven’t seen this fifteen year old film… David and Elijah are complete opposites in every way, so it’s not a real surprise what happens at the end of the film, and it does hold true to the original stories of how friends are the worst enemies. There are some iconic shots in this film, as Shyamalan seems very intent on lending his film the look of a comic book brought to life, but saturated with real-life coloration instead of the primary colors associated with classic comics. Not looking forward to the next two films of his I need to watch for the list… Let’s find out what happens, shall we?